The global sourcing industry posted healthy numbers for Q3 2018, marked by notable increases in outsourcing demand, according to Everest Group. The total contract value of outsourcing transactions rose 11 percent from Q2 to Q3. Digital services continued to dominate the outsourcing activity, driven by cloud-based deals. Among GIC setups, the share of digital services as compared to traditional services increased from 44 percent in Q2 to 56 percent in Q3. Likewise, a focus on digital continued to dominate both service providers’ acquisitions (73 percent) and partnerships (84 percent) landscape. 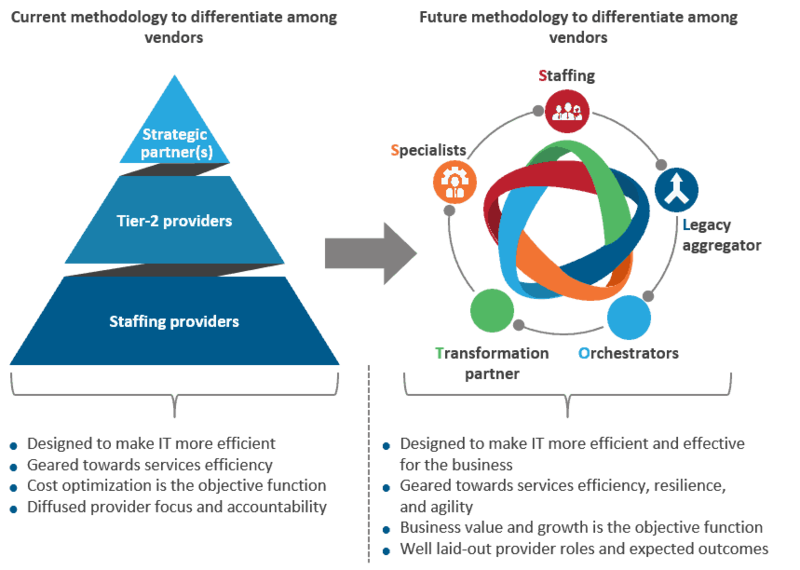 Both enterprises and service providers are increasingly leveraging disruptive technologies such as artificial intelligence (AI) and machine learning (ML) to build more a strategic digital agenda, drive innovation and focus on value-added services. Everest Group discusses these and other third-quarter developments in the sourcing industry in its recently released Market Vista™: Q4 2018 report. The quarterly report highlights the trends in the fast-evolving global sourcing market, exploring the key developments across outsourcing transactions and Global In-house Centers (GICs), as well as location risks and opportunities, and service provider developments. North America reported a significant increase in transaction activity, especially in the retail and consumer packaged goods segment and the technology and communication vertical. While there was a decline in activity for Europe, emerging locations such as Bulgaria and Czech Republic witnessed an increase in activity given high-skilled IT talent, favorable business environment, and excellent R&D and digital infrastructure. Chief Research Guru Michel Janssen will be speaking at the 2018 SIG Global Executive Summit held in Rancho Mirage, California on October 15-18. On October 17, Michel will host a session titled “The Robots are Coming: Sourcing Implications on Pricing, Contracting, and the Future.” Other leaders from Everest Group will be attending the event as well. Robotic Process Automation – RPA – is impacting the very way companies do business. In this fast-paced, dynamic market, it’s essential that you stay abreast of the latest market and vendor developments to best harness the power of RPA – at the right cost and with suitable contract terms. And, with everyone touting their “latest thing,” one must be able to separate the hype from the truth. 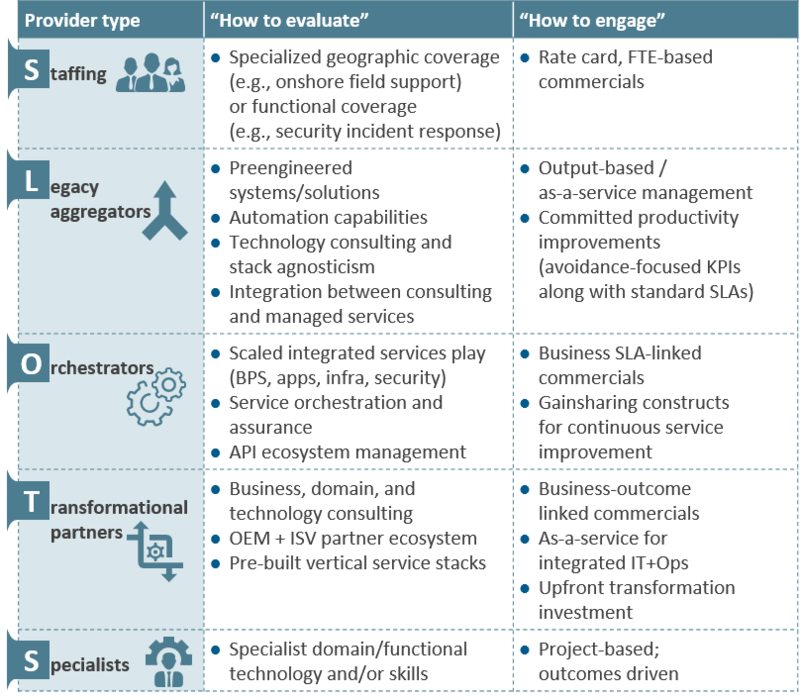 As digital services cause yet another inflection in the outsourcing market, the service provider landscape is undergoing significant changes. 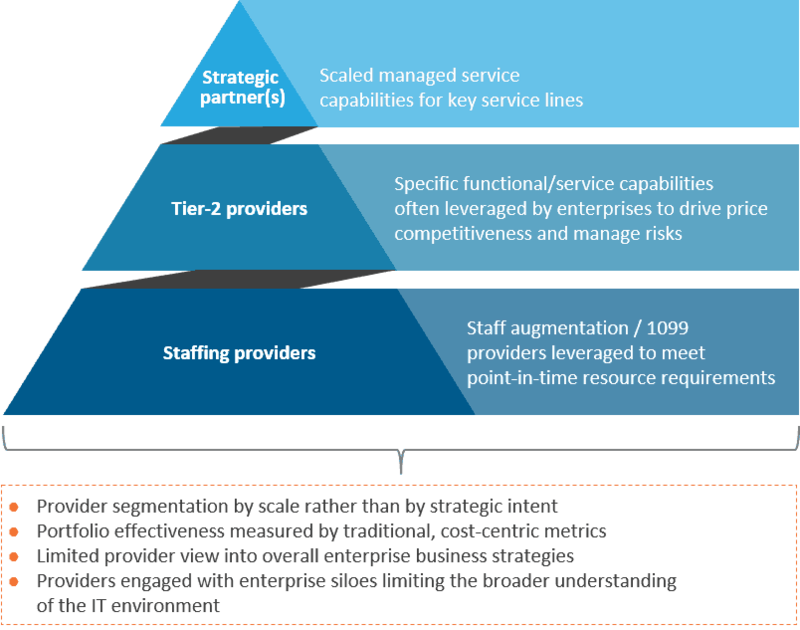 Against this backdrop, enterprises need to recalibrate and reimagine their outsourcing portfolios to capture transformational value and manage risks. To help organizations future-proof their outsourcing service provider portfolios, this session will provide an alternative view to segment the landscape. Participants will exchange perspectives on how they are shaping their outsourcing supply strategies to align with new demand strategies. 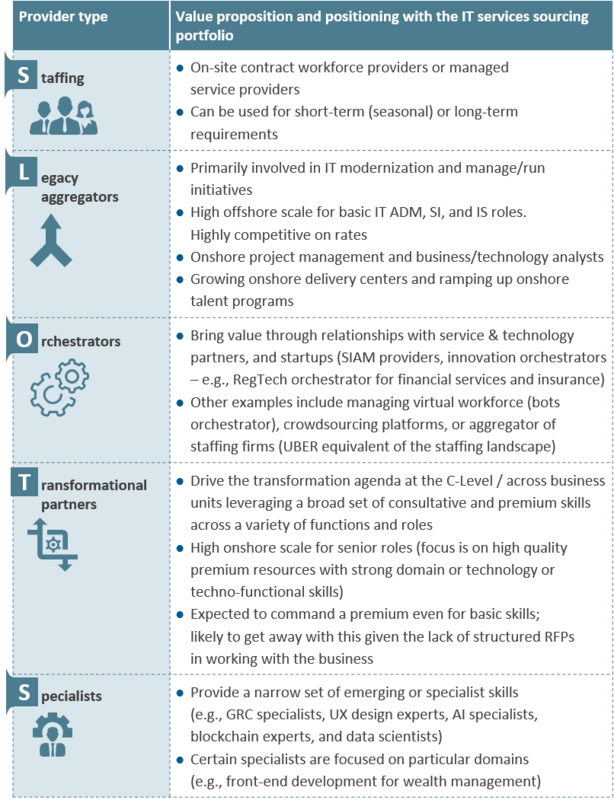 Strategic sourcing and vendor management executives who currently manage their enterprise’s portfolio of IT Services providers. The session will help participants understand contemporary practices for structuring outsourcing portfolios and share best practices for future-proofing outsourcing relationships. 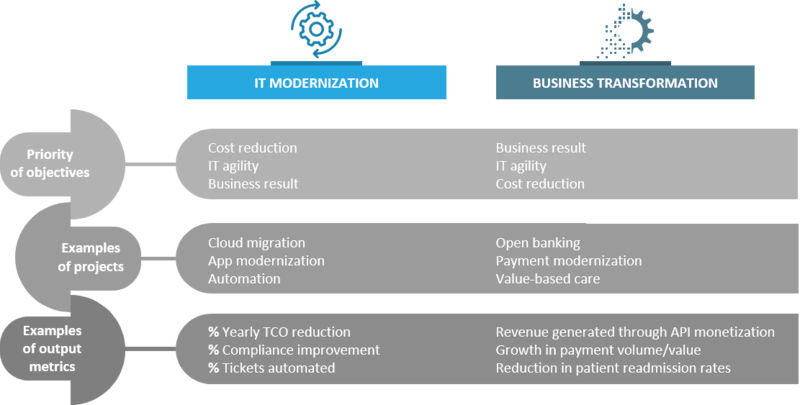 “In our experience, there is good intent at the beginning of the program, but, clearly, as people get back to their day jobs, focus goes back to metrics, KPIs, and quarterly business reviews,” says Jimit Arora, partner in the IT services group at outsourcing consultancy and research firm Everest Group. “The fundamental mindset needed to succeed is very different, and a contract written for efficiency does not align with a contract that needs to drive growth,” says Jimit Arora, partner in Everest Group’s IT services research practice. Everest Group is once again exhibiting at The IAOP Outsourcing World Summit 2018, IAOP’s annual global gathering. The event is taking place at the Renaissance Orlando in Orlando, Florida, February 18-21, 2018. Chief Research Guru Michel Janssen will lead an Educational Partner session titled Achieving the Best-of-the-Best RPA Results: Learn What It Takes. The session will be held on Tuesday, February 20 from 4:00 p.m. – 4:45 p.m. Michel will also be joined by Peter Quinn, Former Managing Director of Automation for SEI Investments, who will share his success stories and lessons learned with RPA. About the presentation: Human nature makes us want to know what the best are thinking about doing. However, while interesting, these findings do little to help move our own organizations forward in the use of RPA. In this session, you’ll get an exclusive preview of just released Everest Group research that details the capabilities the most successful organizations – Pinnacle Enterprises™ – have leveraged and the RPA journey they have taken to realized superior business outcomes. 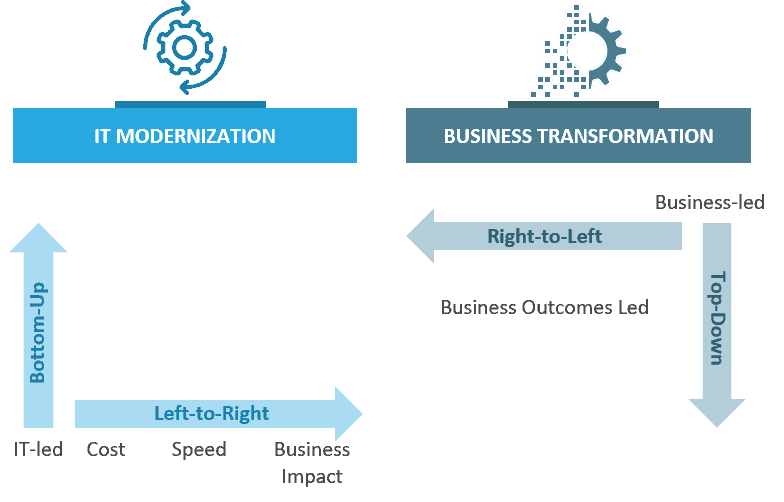 This analysis is based on research that directly compares and correlates business outcomes with the capabilities required to achieve those results. You’ll walk away armed with the comparative information you need to start designing a roadmap to be competitive today – and in the future. Also at OWS18, Eric Simonson, Managing Partner, Everest Group, will present an overview of the outsourcing industry, setting the stage for the Voice of the Customer session on the morning of Monday, February 19. In addition, Partner Cecilia Edwards will participate in the breakfast panel discussion on Tuesday, Februarty 20 titled Strong Teams and Alliances Make Strong Organizations. The session is designed help attendees understand how to best support each other in the workplace, get the work done, and maintain a culture of safety and support for every employee. Attendees will leave with ideas for how to check themselves, be a voice for others, and strengthen teams through clear communication. Additionally, Cecilia will participate on the panel Diversity is Great, Inclusion is Greater #weinclude on Tuesday evening. The session will discuss and define the concepts of diversty and inclusion separately and why the combination of both will create an enviable culture. If you’re attending IAOP OWS18, plan to stop by booth #58, to talk with our analysts, consultants, and executives. We’ll also have a professional photographer at our booth who will take complimentary headshots for anyone who would like an updated corporate or LinkedIn photo. To set up a meeting with us before, during, or after the conference, please contact Research Senior Vice President, Alan Wolfe.